After more than two days bounding through the clouds, bouncing from Madrid to Paris to Kuala Lumpur to Jakarta aboard Air France and KLM jets, my mind spun with dizzying excitement at the prospect of adventure and discovery. I was overwhelmed by sleeplessness and nervous thoughts, baffled by time changes and increasingly exotic airline meals as I flew further east chasing the sun. I felt more and more like an outsider, greeted by new cultures that flashed by like living postcards each time I stepped foot in another airport. “What would Bali be like?” I thought blurrily as I walked up yet another gangway, this time waiting in line for my entrance visa into Jakarta. As I emerged at the Ground Transportation entrance to the Jakarta airport, I was affronted by an intense tropical heat pierced by the wafting smell of gasoline and cigarette smoke and the sounds of 5,000 taxis, buses, and motorcycles zipping past, their persistent honking accompanied by a chorus of screaming voices. One more flight and I’d be in Bali, my home for the next month and a half. I could hardly contain my excitement. As we edged closer to Denpasar (Bali) aboard my final flight, I thought about what had brought me to this far off, extraordinary place half-way across the world: music. As the plane descended, I assessed the importance of music in my life. I have always been fascinated by different cultures and musics. The somber melody of an Eskimo’s tin whistle framed by the sounds of cold winds whistling through the ice-laden tundra; or the haunting and poignant cry of the Muezzin atop a minaret, his voice piercing through the cacophonic city sounds of Baghdad to call faithful Muslims to prayer; or the rustling skirts and twitching sikke hats of Sufi dervishes, their whirling dance of devotion accompanied by the trance-inducing bendir drums. I’ll never forget the first song I slow-danced to, or the jaunty melodies of the Klezmer band that performed at my best friend’s Bar Mitzvah, or even the bleating sounds of the bagpipes that played Pomp and Circumstance at my mother’s graduation from college. Why? Because music transforms and transports us. It frames our experiences and allows us to comprehend those of others. But more than that, music mobilizes and defines us. As Jazz saxophonist Charlie Parker put it, “music is your own experience, your thoughts, your wisdom. If you don’t live it, it won’t come out of your horn.” In a sense, musicians are historians: only through performance can one unlock the secrets of the past. Whether we consider Chopin’s Waltz Op. 69 No. 2 or Jazz pianist Bill Evan’s Waltz for Debbie, music serves as an aural index of our history. When I play these pieces, I feel solidarity with their composers — through them, I am transported through time and across the globe. I allow their music to speak through me, to become a part of me. This transportational, historical, and transformational quality of music first attracted me to ethnomusicology. But before travelling to Indonesia, I hadn’t had the opportunity to fulfill my desire to explore culture and music beyond the margins of a textbook or the bar lines of a score. I needed to travel to the source. And now I was almost there. I had no idea what Bali would be like. Above all, I hoped to experience immersive music making and learn more about Indonesian cultural heritage through field work and expedition. I knew I would learn so much about myself in the process. As I crawled into bed after a bumpy hour-and-a-half drive from the airport through winding mountain roads shrouded in the pitch-blackness of night, I fell asleep dreaming of what tomorrow would hold. I awoke early to prepare for the day’s festivities. In the distance, the faint echo of neighboring gamelans broke through the morning’s shadow and mixed with the eerie calls of mantra singers and the cackling cries of wakening roosters. Bu Ketut had been awake for hours. She had already been to the Baturiti market to purchase jackfruit and rice for the selametan feast, the communal meal preceding our performance. She was quickly slicing tofu and molding tuna sate onto bamboo twigs when I walked into the kitchen. After downing a glass of piping hot White Koffie, I returned to the stage to move the gamelan semar pegulingan and the gamelan angklung into their proper locations. Last night, Bu Ketut and her sister-in-law Bu Pinti had decorated the stage with intricate palm leaf adornments and ticker-tape-like streamers that twirled in the breeze, suspended from the pavilion’s ceiling. After a very short practice session, we ate a small lunch and began to dress and apply makeup. As some of the village girls in Bu Ketut’s dance classes arrived, more and more sequined costumes emerged from the storage closet and were passed around to the performers. They glistened pleasantly in the afternoon light. Loh Deh beckoned me, earnestly calling “Come, come. Baris. Come.” She began to apply my makeup, first covering my face with ghostly white foundation, then arching my eyebrows sharply with a deep black pencil that she also used to accentuate my sideburns. With another brush, she applied bright pink makeup above my eyebrows that she blended like a Rothko painting with sapphire blue. She rimmed my eyes with black eyeliner, taking care to draw in upturned wings at their corners like cat eyes. She smiled as she worked, admiring the results of her efforts, and concluded by drawing a small downward facing arrow on my forehead that she dotted with white pearls of cream. She worked quickly, rapidly transforming me into Baris, the warrior of mythology. I began to feel the power of Baris come into me with each stroke she painted on, with each layer of foundation that expunged my identity and replaced my face with Baris’. Just as Loh Deh finished, we heard Pak Ris shout, “Must go. Taksu, Taksu.” It was time to visit the Taksu temple. I had only a faint understanding of what Taksu was. From what I understood, Taksu was the designation for a temple that directly funneled the prayers of artists to the deities responsible for assuring a good performance. Thus, it was only natural that before we performed, we would meet with a Brahmin priest and pray to the gods and spirits for Taksu to inhabit our bodies, giving us the spiritual energy to become subsumed in our characters. I prayed that I wouldn’t forget my dance moves, that the Baris spirit would inhabit me and take charge if I failed to remember my choreography. But more than that, I thanked the Balinese gods for their compassion, for their guidance, and for their hospitality in allowing me to spend a month in their country with their people, learning and reveling in their culture. After dousing ourselves with holy water, we emerged from the temple with rice pasted to our foreheads and flowers tucked delicately behind our ears. The concert didn’t start for another hour. However, I was far from ready. Once we had returned to Pak Made’s compound, I raced over to Loh Deh and Bu Ketut who were busy tucking, tying, and fitting costume after costume on the performers. Next came my turn. The dance was hard enough by itself with my arms and legs unhindered, and now the daunting realization that I had to twirl and crouch and leap with 20 pounds of layered ribbons and ties strung across my torso down to my legs was almost more than I could bear. The Baris, a warrior, even had a heavy Keris (a curved sword) attached diagonally across his back. Once ribbon after ribbon were strung onto me, I felt like a mummy, like the Michelin man, a human marshmallow — I felt like I had layered for a brutal winter blizzard only to realize that the weather was incongruous with my attire; my horror was reflected by the beads of sweat pooling down my face as I trudged around under the tropical sun dressed for a Siberian winter. Each tongue of fabric was covered in sequins delicately sewn with golden thread. The undergarment was a stretchy, white cotton tunic with matching pants edged by sequins and intricately beaded bands of black velvet. With my makeup finished and my body completely mummified in the Baris costume, there was nothing left for me to do but wait… and worry. And I’m good at worrying. Every few minutes I snuck away to the safety and solace of my room to practice one more agam just to make sure that I remembered the right dance steps. “Right agam, step, step, step,” I muttered under my breath. At one point, I forgot the beginning of the dance. My heart stopped. In terror, I mumbled to myself, “was it right agam, turn, stomp, stomp? or left agam, stomp, stomp, turn?” I took a deep breath. Then two more. The panic soon subsided. I trusted in my body’s magic, just as I always have. I had been practicing this dance for a month, waking each morning before the sun rose, dancing until my feet blistered. Repetition after repetition cemented it in my sinews. Perhaps it was the energy of Taksu that all performance majors felt in moments when the mind froze during a recital, when some unexplainable, divine muse took control of the body and twirled it perfectly across the stage. My body hadn’t failed me yet. I trusted it now to remember. Once the familiar “ch-ch-ch-clang-clap-tap-tap-ta-ta” from the gamelan started, I trusted that my muscles would contort in the right orientation and I, a walking pom pom, would marvel in surprise as I glided across the stage without any mental input, my feet and arms dragged up and down like a marionette possessed by Taksu. As six o’clock neared, my heart rate increased and I again began to panic. “What if I mess up? What will they think?” I must have looked terrified and confused because several of the members of the Baturiti men’s gamelan came up to me and patted me sympathetically on the back, encouraging me with reassurances — “Bagus” (“good”), they said, as they mimed the dance I would do on stage in less than half an hour. It was in that moment that my nerves were pacified completely — all of them knew this dance, they’d all danced it before, they didn’t care that I wasn’t a professional. They were excited to see an American make an attempt, thankful that a foreigner was so eager to partake in their cultural rituals and study their performing arts. Whatever I looked like on stage didn’t matter — I was Baris, no matter how clumsy, and that was enough to garner their praise and respect. These men had Baris in their blood, and they accepted me as an outsider, a fellow artist. And that was the greatest gift of all. As the sun went down and the familiar evening mantras played out over the radio and village loudspeakers, it was time to begin. My dance was sixth to be performed. I walked nervously to the back of the stage, to where Bu Ketut and Loh Deh were hidden behind a vibrantly decorated scrim that would conceal me from view before my entrance. The scrim looked like the entrance to a temple, intricately painted with delicate flowers and scowling dragons that looked as if they had been carved from stone. Bu Ketut adjusted my costume for the last time, making sure all of the pleats and tongues were attached and straightened. She silently took off my udeng (hat) and placed a triangular headdress atop my head, bejeweled with shells and plastic frangipani flowers that quivered as she worked it down onto my forehead. As she pulled down the neck strap, her eyes whispered “good luck” to me. I heard the drumbeat, the signal that it was time to begin, to face the fifty Balinese people in the audience who waited eagerly to see Baris, the commanding young warrior headed off to battle, a symbol of the strength and triumph of the Balinese and the masculinity of their warriors. As I swiveled my leg, dangling my naked foot beyond the painted scrim and into the eye line of the audience, I heard a collective gasp of excitement. In that instant, I was no longer myself — I had become Baris, a transformation not merely facilitated by the costume and makeup I wore, but by spiritual inhabitation down to my core. My timid, ponderous steps at the beginning of the dance gave way to the self-assured, machismo motions of a seasoned warrior gliding into battle with confidence. I twirled and stomped, extended my arms dramatically, squinted or opened my eyes wide with intimidating vivacity all while holding my elbows aloft and my chin raised imperiously. As the music swelled, I contorted myself in different, menacingly powerful poses. As the dance came to an end, I swiveled my hip and raised my foot, bowing to the audience with my hands clasped together, upwardly pointed in prayer. “Thank you,” I prayed to Siva, Wisnu, and Brahma. “Thank you.” As I mapaled off stage, I was greeting by Ketut’s warm smile — joyful tears streamed down my face with the knowledge that I had done what I never thought I would in a place I never thought I’d be. Bu Ketut embraced me, congratulating me on a job well done. I heard people in the audience faintly shouting, “Taksu, Taksu!” As I hugged her, my chest filled with pride and I looked up at the ceiling and again thanked the gods above for giving me good Taksu and for deeming me worthy to have become the Baris. My research interests in gamelan have carried me across the globe into the heart of Bali. In fact, multicultural experiences have colored my college years. As a science and music performance (ethnomusicology) double major, I have studied Indonesian gamelan and traditional dance in the mountains of Bali, performed as a Tenor saxophone soloist with the Tango Orchestra of Atlanta, served as a percussionist with Emory’s Brazilian Samba ensemble, instructed Tibetan monks and met H.H. the Dalai Lama as an introductory biology teaching assistant, and traveled to the heart of the Peruvian Amazon as a student of ecology with Emory’s “Ecology of the Tropics” course. My thesis gave me yet another opportunity to immerse myself in another culture, to lose myself in their music, to become Baris. My honors research aimed to inform the public about the impact that Balinese and Javanese gamelan traditions have had on the stylistic development of contemporary Western music, on the establishment of the field of applied ethnomusicology, and on the creation and popularization of the world music genre and its offshoots among global audiences. Furthermore, I strove to create an archive of karawitan (traditional repertoire) at Emory University. In order to accomplish these objectives, I needed to immerse myself in Indonesian culture and performance. To gain a deeper understanding of this rich musiculture, I performed both as a musician and dancer at Emory University, Wake Forest University, Northern Illinois University, and the Indonesian Consulate of Chicago, as well as in Baturiti, Bali, Indonesia. I presented my research at Northern Illinois University’s annual World Music Festival — a lecture-performance entitled “Indonesian Gamelan and the West” — and earnestly studied and performed Balinese and Javanese gamelan and traditional dance with Pak I Madé Lasmawan, Dr. J.C Wang, Pak I Gusti Ngurah Kertayuda, Dr. Elizabeth Clendinning, and Pak Midiyanto. 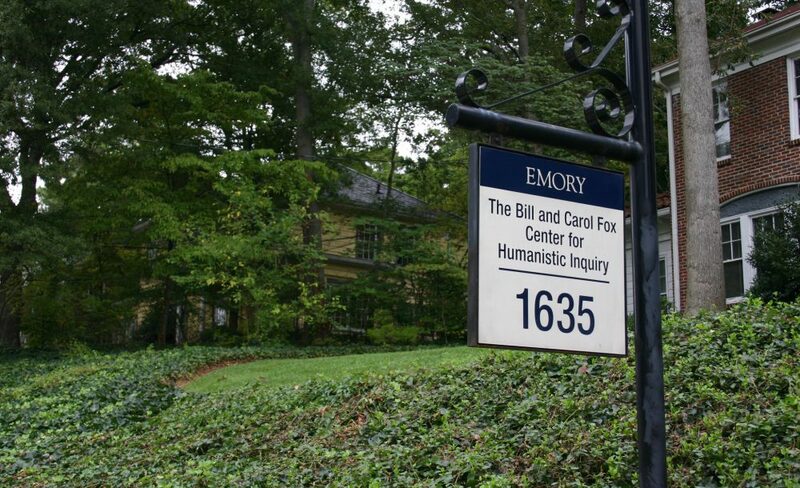 But beyond these immersive experiences, my involvement as a Fox Center for Humanistic Inquiry undergraduate fellow has perhaps been most beneficial to my research. Humanities research undeniably enhances the life of the arts at Emory and beyond — and as the only gamelan in the state of Georgia, only through public performance and research could this musiculture be preserved necessitating my investigation. Through this experience, I gained invaluable interdisciplinary scholarly instruction and had multiple opportunities to practice my presentational skills in front of an audience of peers and internationally renowned scholars. Many fulfilling yet sleepless nights were spent at the FCHI pouring over the final copies of my thesis, painstakingly editing it line by line. But the process of research excites me — my experience as a FCHI undergraduate fellow has further bolstered my desire to pursue graduate studies, encouraging me to continue to ask difficult questions that require courageous inquiry, to ponder the unknown and unknowable. The post-doctoral fellows and senior fellows at the FCHI have unfailingly given me outstanding feedback: tips about outlining and citing, recommendations for books I should read, an outpouring of a wealth of knowledge and advice. Producing a thesis is a daunting task, certainly not an undertaking for the faint of heart. Being part of this community somewhat lessened my feelings of loneliness when confronting this mammoth enterprise. As an undergraduate fellow, interactions with other fellows gave me confidence in my work and in my voice. I have grown so much under their instruction and through their friendships. Their guidance helped me clarify the balungan of this project, its central melody, giving it life. Unquestionably, I could not have completed this project without the support of the Fox Center. To all of the members of the FCHI, I say terima kasih (“thank you”) from the bottom of my heart.